Whenever we make excuses, it can become a habit. Each time we come up with a reason for not following an important routine, it is more likely to become a long-term habit that we cannot easily break. This includes excuses for neglecting oral care. Never Make Excuses For Home Oral Care. Adults and children alike find many reasons to avoid flossing and brushing. You may say you are too busy, too tired, or prefer to do something else. If you make these excuses once or twice, it can quickly become a habit. Regardless of how busy or tired you are, you must make time in your schedule for daily oral care. It only takes a few minutes to brush and floss every morning and every night. Excuses can become a habit for your kids, too. Whether they are in Kindergarten or High School, stress the importance of dental care. Encourage your kids to take dental supplies to school, and for overnight visits to a friend’s home. Never Make Excuses For Dental Visits. Your calendar should include regular visits to the dentist. You should make and keep two visits every year. Make appointments at times that are convenient for you, and never skip a dental appointment even if you are busy. Set routine visits as a priority for everyone in your family. Encourage your children to look forward to dental visits. 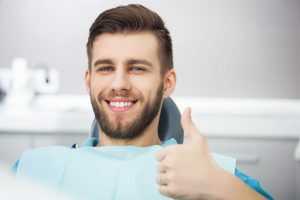 Unless a true emergency occurs and you must reschedule a visit, do not let last-minute activities stand in the way of arriving at the dentist’s office on time. Dental tips can be easy when no one in your household makes excuses. Your oral care supplies should always be available so you can use them every day. Dental visits can be scheduled when it is convenient for you, so you never have an excuse to avoid the dentist. I didn’t know that regardless of how busy or tired you are, you must make time in your schedule for daily oral care. My dad has a toothache and he’s having a hard time eating. My mom suggested going to dental services and shared this article with him.